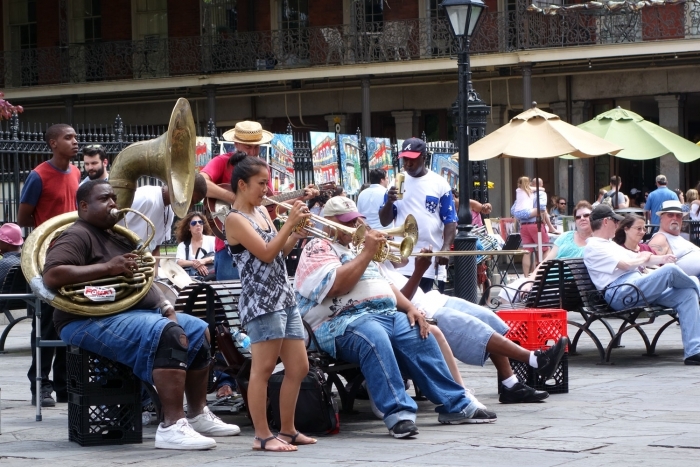 New Orleans is one of the US's more iconic cities. 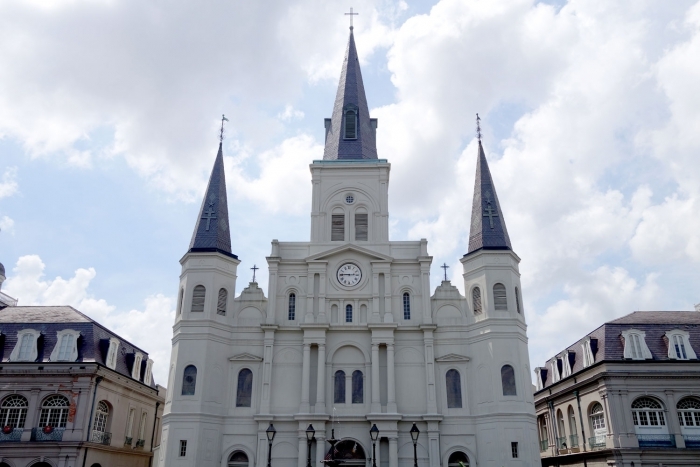 Its French heritage has left the city and its architecture with a more distinct feel and the atmosphere here is much more party like (although that may be attributable to the city's famously lax drinking laws). 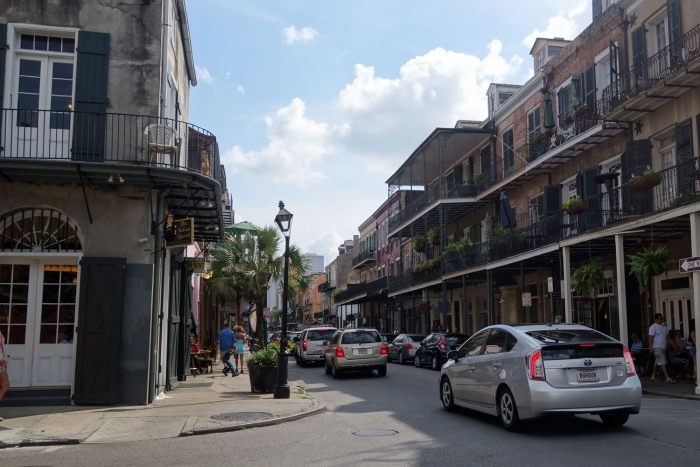 New Orleans is probably most famous for the annual Mardi Gras celebrations held there which we'd have loved to have been there for but sadly the timing of our journey across the states meant that we couldn't make it then. The ghost of this celebration does seem to pervade the city throughout the year however, with a lot of drunk people stumbling over the cobbled streets even at 11am on the week day we visited. 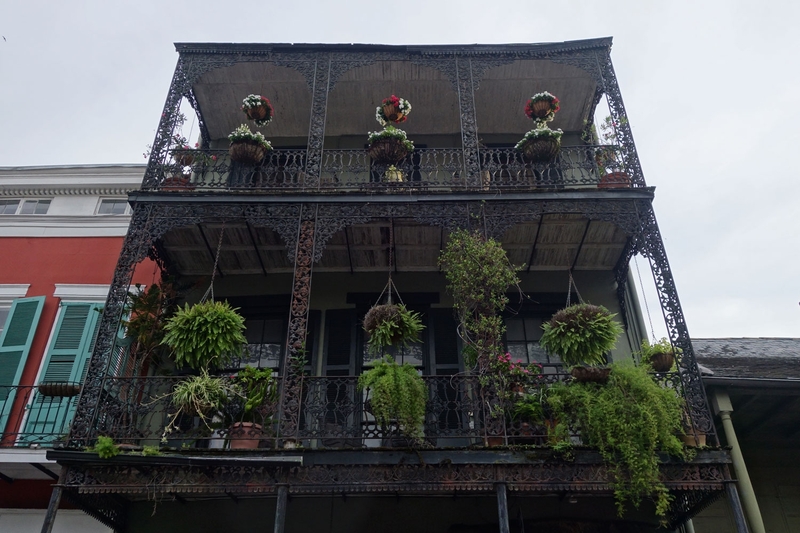 The main part of the city we most wanted to see was the French Quarter; The old, French facades, decorated with wrought iron fire escapes and balconies looking out over the narrow streets were lovely. 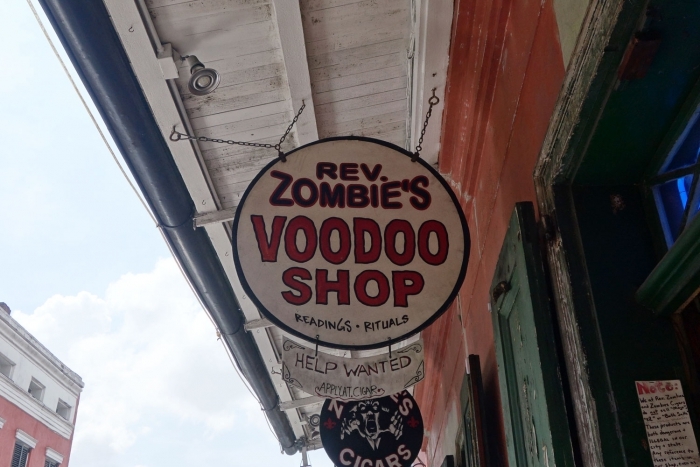 We spent a few hours during the day wandering around the streets, checking out some of the creepy looking voodoo shops and listening to the music piping out of some of the jazz bars. Although we weren't able to visit the famous St Louis Cathedral in the city as it was closed for a private event, walking around the neighbouring Jackson Square, looking at the various artists' works was fun. We also came across an amazing sounding jazz band playing there, which we were happy to sit and listen to for a while. A lot of the guide books for New Orleans recommend Cafe a la Monde for the famous New Orleans/French snack called 'beignets'. 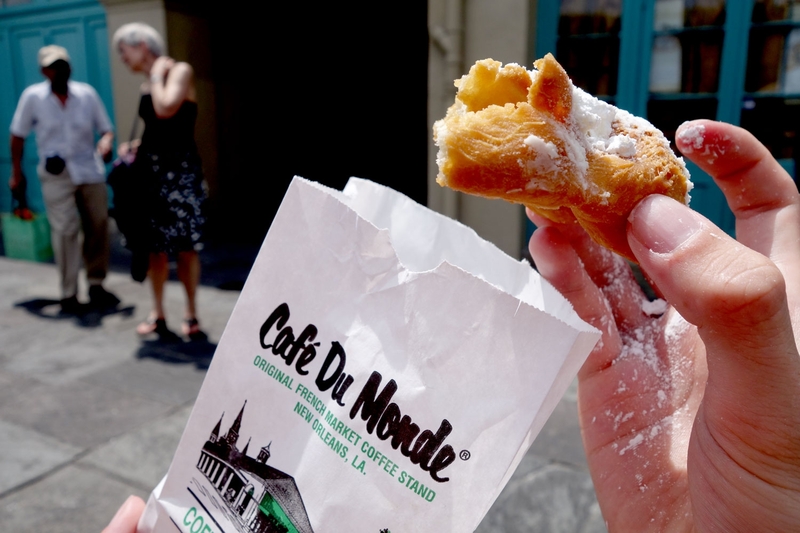 These deep-fried choux pastries are pretty much a French equivalent of the doughnut and are really tasty, especially when covered in the ocean of icing sugar that Cafe a la Monde was happy to provide. 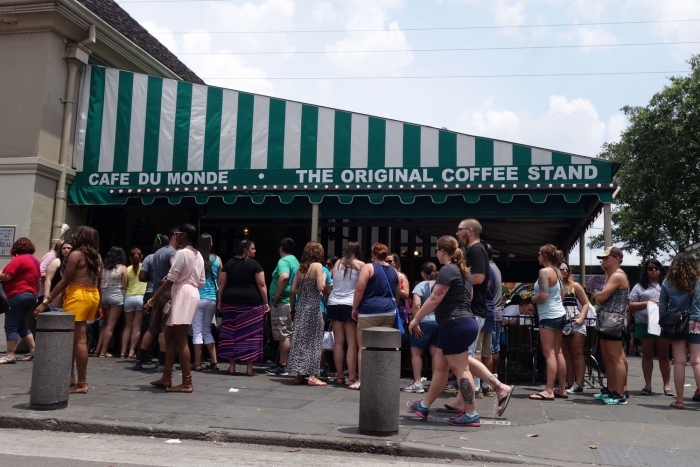 The cafe however does suffer from its popularity, with huge queues for both the sit-in and take-out counters - I think we queued for close to an hour. It may be that if you visit, unless you are keen to have a beignet specifically from Cafe a la Monde, there may be some alternative shops with much less taxing wait times. You can't visit New Orleans and not listen to some jazz. 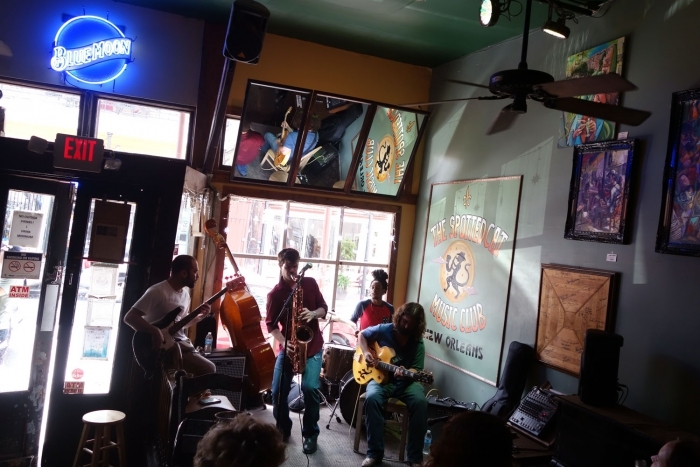 We weren't sure the best venue to visit but some googling around lead us to a small hole-in-the-wall called The Spotted Cat where a live band was playing. Admission was free and we were happy to rehydrate with their one drink minimum as we listened to the band. The bar was small with pretty much no seating, but it was nice to take a break in the shade for a while and listen to some talented musicians show off their skills. 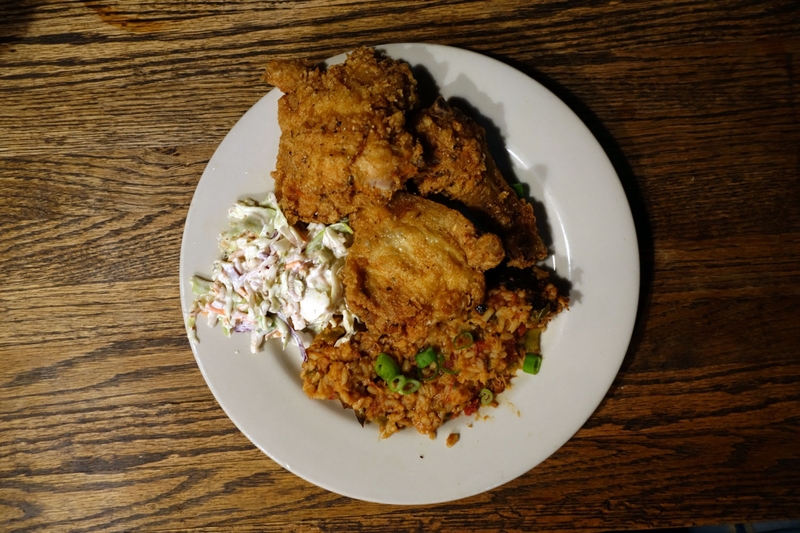 New Orlean's more distinctive meal option was the awesome tasting Cajun and Creole foods. One of the places known for this of foods was a bar called Coop's Place. 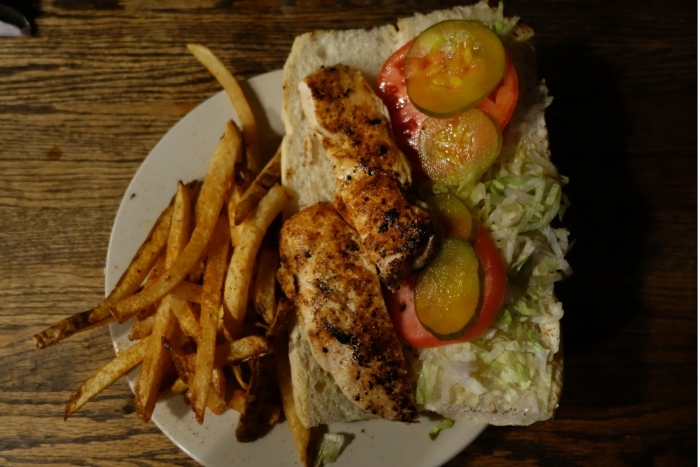 We split the Rabbit and Sausage Jambalaya with fried chicken and the grilled chicken "Po' boy". Both the line outside and the wait for food inside the bustling bar were long but when the food finally arrived it was fantastic. Content with another great meal, we headed home, happy with our quick stop off in the city. 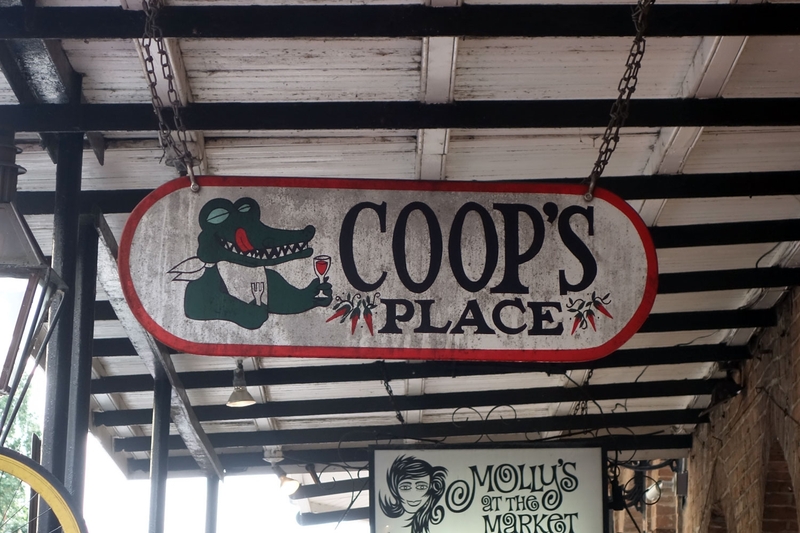 The one thing I think I noticed about New Orleans is that it really is not a city for kids or maybe old people. No matter what time of day it was, there was always a background buzz of inebriation - it felt like the city was the permanent home of bachelor parties and hen dos. 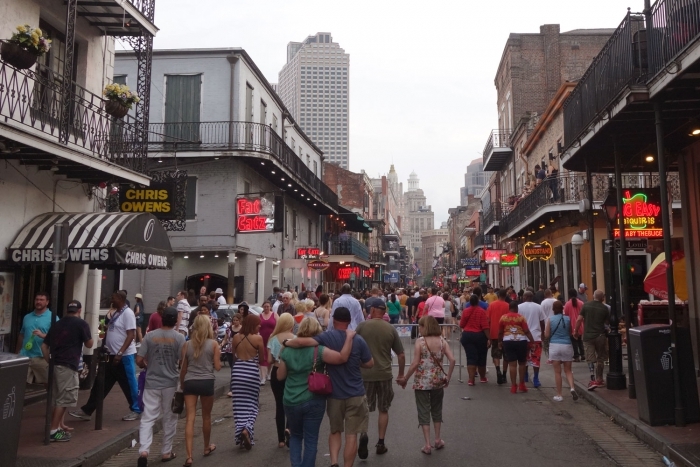 We did come across a few families wandering around the streets but I don't think the city holds much that kids would enjoy and I'm not sure I'd want to have to constantly be guiding them round raving drunks or piles of vomit. 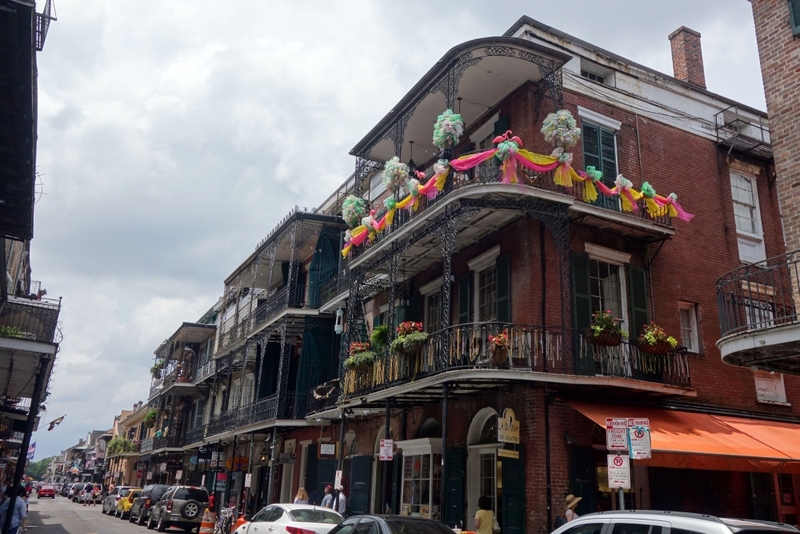 I think it would be still really interesting to check the city out when Mardi Gras is in full swing though - I could picture how the city could light up at night with the parades and celebrations. Maybe another year!